Tate Taylor, director of the anonymous 2008 comedy PRETTY UGLY PEOPLE, somehow managed to get the studios to allow to write and direct THE HELP, a soupy drama based on the best-selling novel by Kathryn Stockett. Not having read Stockett's novel chronicling the travails in 1960s racist Mississippi, I don't know whether the emotional manipulation and superficial politics come from her of from the director. Either way, the resulting movie looks handsome, and made me shed a tear in the final reel, but has all the genuine engagement with the issues of DRIVING MISS DAISY. It's a bland feelgood movie about a topic that should make us angry and agitated. It's a movie in which the main African American character's son is lynched and yet we come out feeling warm and fluffy. Double plus not good. The film makes the mistake of telling the stories of these African-American maids through the lens of a perky white wannabe journalist - Skeeter (Emma Stone) - a move that immediately tells us we're in a world where a harsh tale has to be made palatable for a mainstream audience. Ironic, also, in a movie that makes such a big deal about going right to the source. Skeeter serves as the vessel through which the maids will dish the dirt and get their story published. The movie is scrupulous in telling us that Skeeter is sharing the royalties with her informants - but while she gets a cool job in New York out of it - they are at risk of being sacked, imprisoned or lynched. The risks and rewards are clearly completely asymmetric, but the film doesn't embrace and mine that fact - it would mess up the fluffy finale. Worse still, there is no subtlety in the characterisation - no shades of grey. You're either a good-hearted liberal white (Skeeter, her shamed and reformed mother, Jessica Chastain's character Celia), or a nasty racist white (Bryce Dallas Howard's Hilly and her acolytes). And as for the African-American women they are largely painted in tones of full-on heroism, with even the thief seen as a martyr to a mean mistress. As for the subject matter, awful, horrible petty racism is seen on screen, but racial violence is referred to rather than shown. Ditto the subject matter of domestic abuse. And I couldn't help feeling insulted that the subject of vengeance against racism was reduced to a scatological joke. All this isn't to say that the production isn't handsome - with lush on location lensing from DP Stephen Goldblatt (JULIE & JULIA) and wonderful period costumes. And the female cast is good quality and does the best with the narrowly written characters they are given. In particular, it was a joy to finally see Jessica Chastain able to round out a character - rather than just being a virtuous icon, as in THE TREE OF LIFE and CORIOLANUS. But this movie, so hyped, so likely to win awards, is not a good movie. It's politics are dicey - it's reluctance to truly grasp the profundity of what it's tackling frustrating - it's emotional manipulation dishonest. I have no time for it. THE HELP was released in the autumn in the US, Canada, Australia, Hong Kong and Sweden. It was released in October in Portugal, Finland, Norway, Lithuania, Singapore, France, Ireland, the UK and Spain. It was released in November in Spain, Hungary, Poland, Malta, Estonia, Denmark, Greece, Kuwait and India. It opens on December 8th in Germany; on December 28th in Belgium; on Dcember 29th in the Netherlands; on January 20th in Italy; on February 3rd in Bulgaria and on February 6th in Brazil. 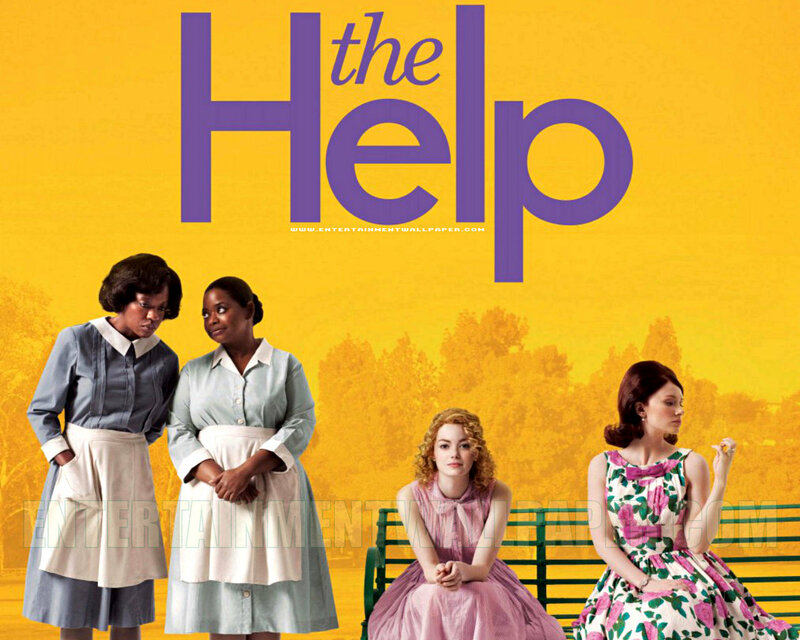 THE HELP is likely to be feted during awards season judging by the studio campaign and early indications from the New York Film Critics Circle and the Hollywood Film Festival.